Are you planning a trip to visit the cities of Bavaria? 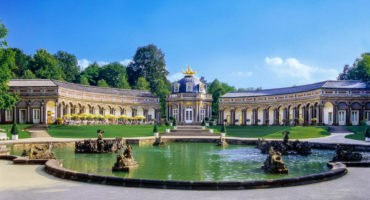 Are you looking for top attractions in Bayreuth? Here you find all the places of interest in Bayreuth. What is playing in Bayreuth? 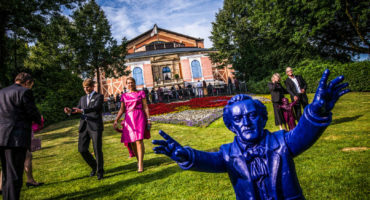 Bayreuth`s small and large stages offer events all year long. Festivals, markets, exhibits, sport- and dancing events, theater or Opera. Downtown Bayreuth is a stage for shopping and lingering. Its picturesque pedestrian zone makes it a popular destination in Bavaria. Enjoy a wide selection of accommodations with Franconian charm. The hotel directory shows you an over all view of hotels, guest houses and holiday apartments in Bayreuth and the surrounding region. festival enthusiasts throughout the year. You can choose from single- and group travel offers. Visitors have the choice of individual travel packages or guided group tours. The Margravial Opera House of Bayreuth is on the list of the UNESCO World heritage since 2012. It was built in the 18th century under the reign and guidance of margravine Wilhelmine. The Margravial Opera House was put on the list of the top 100 attractions in Germany for the first time in 2014. The Prussian princess and favored sister of Friedrich the great, made Bayreuth, being the seat of royal power, a famous cultural capital. The Margravial Opera House is one of the most beautiful theaters in Europe. It was reopened in April 2018. Our house in the heart of Bayreuth is a privately owned city hotel with 3-star comfort and personal charm. The Dumproff family welcomes you. Visit the nature jewel just outside the city of Bayreuth! Various hiking tours, romantic valley landscapes and Franconian delights waiting for you! Experience at more than 4,500 m² an unique combination of historical brewery museum, innovative brewing workshop and modern catering concept. Are you looking for more offers? 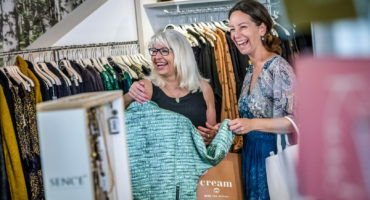 Bayreuth gives a multitude of offers for all target groups. Discover more stages in Bayreuth. 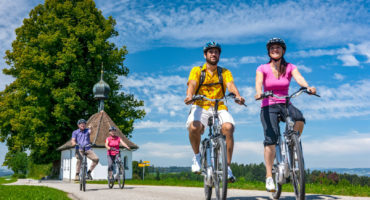 Nature can be experienced and enjoyed in Bayreuth with walks, bicycle tours, climbing, hiking or swimming. Bayreuth is one of the most beautiful cities in Bavaria. Charming palaces, historical parks, the Eremitage with its interesting grottos and water games, the Festspielhaus with its one of a kind accustic, as well as a choice of museums await the visitor in Bayreuth. 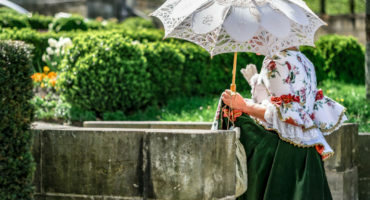 Numerous music and theater festivals bring cultural enjoyment of the highest level all year round. Visitors may relax in leasure facilities or wellness oasis such as the Lohengrin Therme or swimming pools or in the surrounding nature. Bayreuth is seen as the gate to the Fichtelgebirge and to the romantic Franconian Switzerland. It is quickly and easily reached by car by the Autobahn A9 and A70. Different airlines provide the best international connection through Nürnberg airport. The German train system connects Bayreuth and Nürnberg. 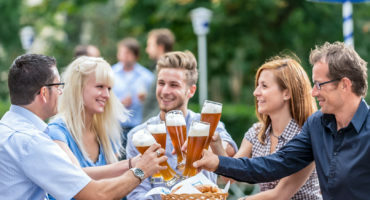 Traditional as well as modern hotels and guest houses invite the visitor to get to know Franconian culture better.